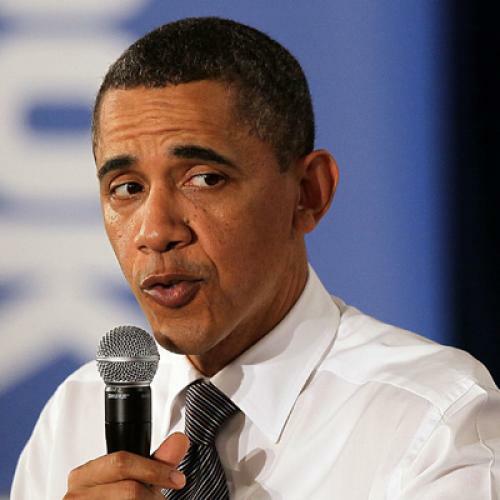 Are President Obama and his advisers alarmed about the tepid recovery? Are they working feverishly to think up new interventions, the kind that involve increasing short-term deficits, to strengthen it? I would like to think the answer to both questions is "yes." But public signals from the president and his advisers remain ambiguous, while even some of the administration's more well-connected friends are getting nervous about how White House rhetoric is shaping the debate. By now, you've probably heard about the comments that Austan Goolsbee, chairman of the Council of Economic Advisers, made on Sunday’s edition of "This Week." He downplayed the significance of last week's dreary employment report and suggested "government is not the central driver of recovery." In addition, you've probably heard about the Washington Post profile of Tim Geithner. That profile suggested Geithner was now the president's most influential economic adviser and that his emphasis on deficit reduction, over further stimulus, had become the prevailing White House view. But there's more. At a White House forum on Monday, Goolsbee apparently said the same things he had said on Sunday. Ryan Avent, who wrote about the forum for the Economist, came away convinced that ongoing talks over raising the debt ceiling will lead to immediate spending cuts--a move that, according to every respectable economist I know, would actually slow economic growth even more. On Tuesday night, the Administration released an official policy statement declaring that a new Senate jobs bill was too expensive. The bill, which Majority Leader Harry Reid had endorsed, would have boosted spending on infrastructure, albeit very modestly. The administration lauded the bill’s goal but made clear that it opposed the specifics, because they would mean slightly more deficit spending. "The need for smart investments that help America win the future must be balanced with the need to control spending and reduce the deficit," the administration announced. Also on Tuesday night, Bloomberg News reported that administration officials were discussing the possibility of a new payroll tax cut, in order to boost consumer demand. Obama hinted at similar interest during a press conference earlier in the day. Many of us, including my colleague Jonathan Chait, thought this meant the White House was finally "pivoting" towards a focus on jobs. But, during the daily White House briefing on Wednesday, press secretary Jay Carney declined to endorse or even talk up the idea, noting that "there are a lot of ideas that get bandied about, both within the administration and outside." As I've noted previously, my White House decoder ring isn't the most reliable. For example, a senior administration official told me the statement about the Senate jobs bill was primarily making a technical point: That the proposal didn’t have offsetting revenue or spending cuts, a principle the president set forth in his budget. In other words, I could be reading way too much into these episodes. And there are any number of sensible reasons, political and substantive, why the administration might be deliberately understating its concern about the economy or its interest in stimulus. Talking up the economy could itself boost confidence. Endorsing an idea like the payroll tax holiday explicitly might scare off Republicans, who instinctively oppose anything with the word "Obama" attached to it. Administration official have noted, correctly, that Obama secured a payroll tax holiday in the final 2011 spending agreement without making it a high-profile cause beforehand. Until the recent jobs numbers hit they -- like nearly every other mainstream economist -- believed that the jobs numbers were moving in the right direction. Additionally, they've reasonably assumed that their limited bandwidth was better spent negotiating a solid extension of trade adjustment assistance -- to go along with job producing trade agreements -- and a reasonable deficit reduction package rather than bang their head against a wall trying to get more stimulus from the nutty house Republicans. Nobody disputes that the political constraints facing the president are real. The Republicans won't pass anything that involves spending, the public largely rejects Keynesian thinking, and bipartisan talks on the debt ceiling could easily break down. More than one political strategist has suggested Obama's best shot at securing a payroll tax cut may be to move slowly and, perhaps, to let somebody else take the lead on it. By contrast, provoking a fight that scuttled debt ceiling talks could spook the markets (for real) or lead to default, either of which could cause a whole new economic crisis. But some administration allies fear the administration is doing more than keeping a low profile or biding its time -- that it is actively reinforcing conservative dogma, at a moment when the jobs report may have created an opportunity to shift the economic debate away from budget imbalances and towards employment. "I understand the constraints of the moment," says another senior Democrat, "but I'm not sure what's gained by giving any oxygen to the incorrect idea that fiscal austerity right now would be expansionary." Obama has operated under severe political constraints, and those of us who criticize the inadequacy of the stimulus and other policies have to be mindful of that. But the White House did not have to concede the economic argument the way it has. Update: I originally cited comments by Gene Sperling, director of the National Economic Council, in Monday's White House forum. But those comments aren't as clear as I first thought, so I removed the reference. Also, I changed "short-term deficit spending" to "increasing short-term deficits" in the first paragraph, since a payroll tax holiday -- the most likely form of stimulus to pass -- would raise deficits but not deficit spending.